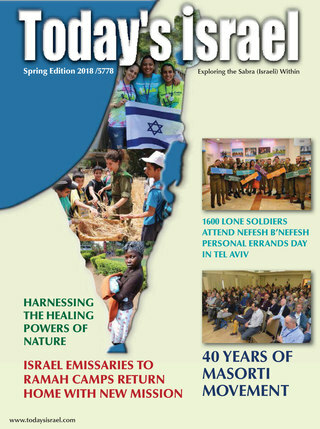 Today’s Israel, our EMagazine magazine, contains articles and pictures reflecting the best of Israel today, Spearheaded by Rabbi Paul Freedman, Director, Strategic Partnerships, Israel Cohort, Conservative Movement, in partnership with Nefesh B’Nefesh , The Jewish National Fund, and our Masorti Movement, this website will act as a resource for more learning opportunities about Israel and the programs and services offered to our Israeli and Diaspora Conservative/Masorti Jewish Communities. Today’s Israel Website will also include individual articles, relevant information as well as pictures from our partners. In each issue you will find an annotated Table of Contents called “In One Sentence.” Click on – it will appear.